Sedona Bikes is the superior local bicycle brand trend setting the world of bikes in Turkey every year. The brief was clear "anyone can ride a bike, so let them!" 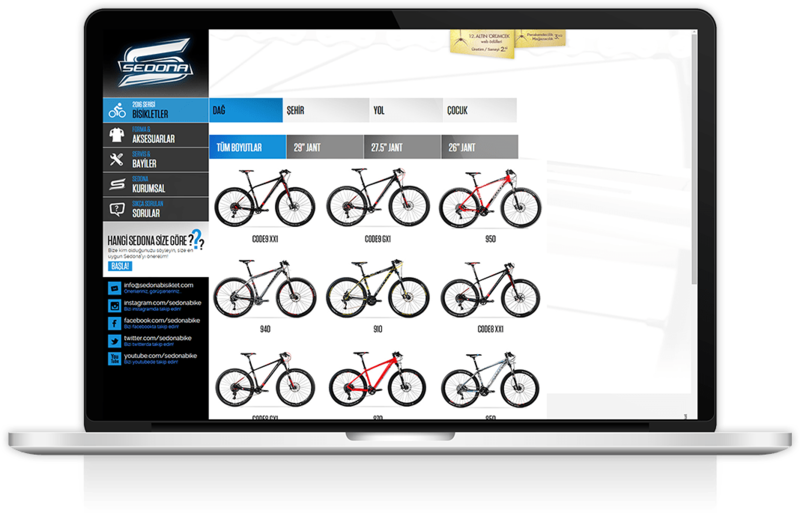 Our solution is a simple yet effective one page quiz helping the user to find the ultimate bike for themselves in seconds. 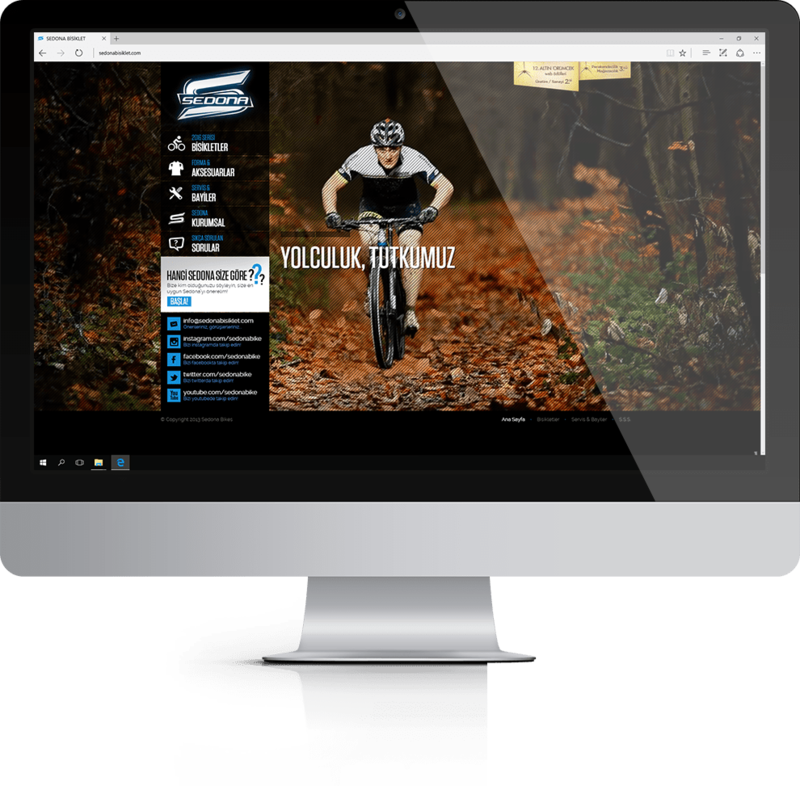 Responsive and Html 5 animated website has been awarded twice. The service and store network of Sedona is nationwide so the website reveals this network through a digital map that helps see the stores and gives directions or contact info for the nearest one. You can make a call directly on the mobile version of the website.